This week Martin and I went to our first meeting at the Houses of Parliament to talk about kids and mental health. We’re now officially part of an All Party Parliamentary Group (APPG) which comes up with ideas and strategies to help kids have a fit and healthy childhood, and aims to influence legislation. It felt pretty grown-up to be sat around that table – but as I listened to the issues being raised I genuinely got excited about what Cosmic Kids can do! Cosmic Kids videos are so easy to use, speak to kids in a way that they can understand, have been shown to be effective – and they’re FREE – so they can be a genuine solution in this space. I don’t want to get carried away, and believe me, we’ve still got so much more to do – but I can see how we have already made progress where others might be getting stuck. Here are my highlights and take aways from round 1 in the HOP! With the mighty Baroness Floella Benjamin at the helm of this group, you just know stuff’s gonna get done! Floella was on kids’ TV when I was little and she has a special place in my heart. It’s almost like I grew up with her. If you don’t know her (and especially if you do!) take a look at the video below. Baroness Benjamin is an absolute legend and I love the energy she brings! She has shaped the purpose in the group really well and I felt that their (our!) intent is pure – everyone wants to bring positive change and I believe powerful solutions will eventually be implemented. This is a broad issue we are tackling – mental health in kids. At one end of the spectrum, we have the challenge of helping kids who have ‘diagnosed’ problems (scarily this is 10% of kids of primary age in the UK…) This asks for solutions like giving teachers more training on recognising mental health disorders in kids, and funding educational psychologists and other relevant trained professionals so kids get the help they need. At another end of the challenge is the opportunity to help kids in a more universal sense: making sure they develop awareness and a sense of emotional self-reliance as they grow up. I suppose this is essentially mindfulness and Social and Emotional Learning (SEL) – techniques which help all kids understand themselves (their feelings, thoughts and actions) and also develop a respect and love for each other. This is frankly where World Peace comes from – humans with well-developed awareness and impulse-control! Although these two sides to the challenge are related, we need to be clear about the difference between them. 10% of kids need specialist help…and others will do great with just ongoing practice and technique to stay in tune with their minds and feeling mentally stable. Both are essential. Let’s create two ‘buckets’ so we can focus on them both. 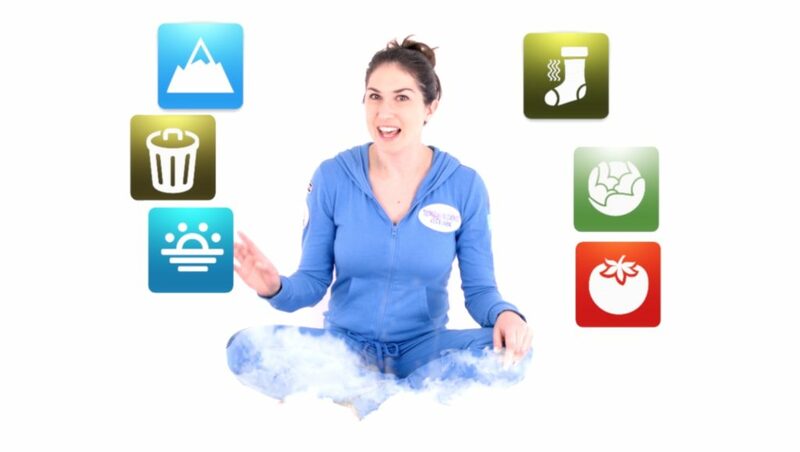 There was a magic moment for us at the end of the meeting when a lovely woman called Charlotte Davies who runs a business called Fit-2-Learn came up and told us how she uses Cosmic Kids and recommends it to everyone she works with, because it works! She told us about a little boy who had become mute. He had just frozen up – he was so tense he couldn’t even release the muscles in his jaw. This is often what selective mutism is like. Anyway, she showed him our Zen Den video – the Owl and the Guard Dog and he began to relax. He began to understand the workings of his mind and that little bit of distance and objectivity gave him the space to start to release and open up again. She said this was the only video she has found that works with kids with selective mutism. We were blown away – we don’t often hear about the specific issues our videos are helping with, so it was incredible getting feedback like this. Is there a way of normalising mental health rather than stigmatising it? One of the issues raised in the session was the stigma that comes from being labeled with a mental health disorder. We heard that being diagnosed with something like ADHD as a child may affect your chances of getting into a school or even getting a job later in life. So how do we deal with that? I think it comes down to more learning – for kids and grown ups. We all need to learn to be a little more objective about the workings of our brains and to become aware that we’re all wired a little differently from each other. You don’t just get a score out of 10 for mental health that you’re stuck with. You get what you’re born with, life has its effect on you and then you can develop strategies to make life easier for yourself if you’re lucky. And if you start to have problems which affect you and the people around you more seriously, then there will be help available for you. This is all OK. Normal. 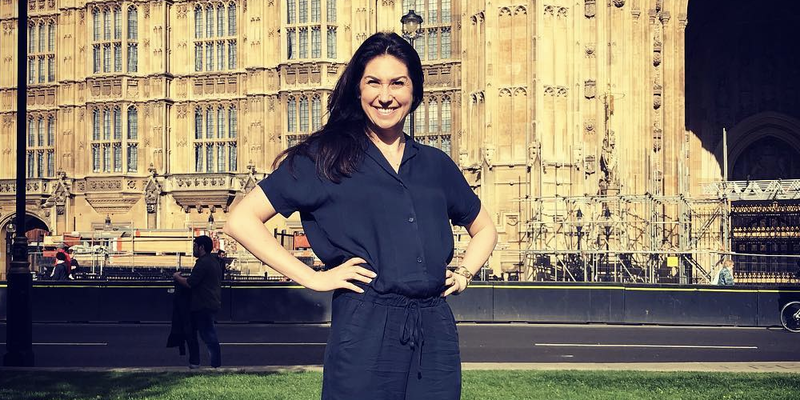 As we all start to realise mental health challenges are likely to happen to most of us some point – that it’s a normal thing and sensible to be equipped to deal with them – then I hope that stigma will no longer be attached so readily. Video can solve a lot of problems! It was great hearing from Barnado’s – the UK’s 2nd biggest children’s charity (£300m in funds raised annually) – about their PATHS programme. (PATHS stands for Promoting Alternative THinking Strategies). This is a social and emotional lesson programme for schools which involves training teachers and offering lesson plans and other resources geared around SEL for each separate primary year group. The content sounds great. We heard some powerful & clearly communicated techniques to help kids develop an awareness of the link between feelings-> thoughts -> actions. So far it’s having a super positive impact with the schools it’s being used in. The numbers are interesting for us. Barnados is in 225 schools and trained around 2500 teachers in this country and it’s taken a lot of work to get there. It’s interesting to note that Cosmic Kids is used in something like 100 times that many schools around the world and we’ve trained about 2500 kids yoga teachers on our kids yoga teacher training and had 15000 people on our free kids yoga crash course. Clearly this is not a competition, it just shows how powerful online video is! Cosmic Kids on YouTube is picked up and used partly because it’s easy for teachers to offer (you just play the video) and also because it’s free. The main barriers to uptake of the PATHS program are the time it takes teachers to teach the lessons: according to teachers, there is too much pressure on achieving academic targets and these new lessons are too much to squeeze in. Secondly – there is a barrier in the cost. This one slightly confused me to be honest. I thought that Barnado’s would fund this from the money they raise as a charity, but in fact it has to be paid for by schools or (in one case in London) by the NHS. They didn’t want to say how much it costs to get the programme into a school, but given that funding was reported as an issue, it must be quite expensive, right?! My question to them, is this: Why not create something that’s free? This way schools can at least give it a go and get started. Why not use video? You can press play and it takes the pressure off the teacher having to do all that extra work. We actually suggested working with them and building out our existing Zen Den program on YouTube with some of their ideas…surely this could be a help? We’ll keep you posted. What does all this mean for Cosmic Kids? It was great being a voice in this discussion, and as ever it was a pleasure to share Cosmic Kids with the room. I am feeling super positive about what we can do and we are going to continue coming to these sessions. Cosmic Kids is such a small and nimble team, and this means we can get things made and out in the world really quickly. Also we have a growing audience: looking at the stats, half a million screens played our videos an average of 5 times in the last 4 weeks. A good chunk of these screens are in schools, so we know there will have been a whole classroom full of kids watching. So we have quite a lot of influence already in this space and even more potential. My main takeaway is that we should keep making content that works and getting it in front of as many kids, teachers and parents as we can. The key here is that Cosmic Kids is easy, quick and free – and this is what is needed for a good chunk of this challenge. We are planning to dive back into our Zen Den series and develop some more videos that will help, just like the Owl and the Guard Dog did for that little boy. I think as well we need some form of structure or guide to help teachers and parents navigate all the mindfulness content in Zen Den, so that a real program (and by ‘real’ I mean one that works and you can measure how it’s working) could be implemented in the class room or at home. I reckon this program really ought to incorporate the yoga adventures and the Peace Out series (guided relaxations) too as variety is the spice of life and me sitting on a cloud might get a bit boring day after day! I’m not quite sure how we’ll get all this done, but we will and we’ll have it in your hands as soon as it’s ready! Have you tried our mindfulness videos? A series of videos focused on building awareness, calmness and happiness. Have a look at Cosmic Kids Zen Den!